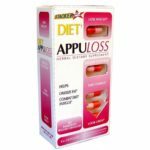 Acomplia (also known as rimonabant) is a weight-loss medication available in over 40 countries worldwide. Acomplia received European Union marketing approval in June 2006. However, it is not currently sold in the United States. In 2007, the FDA voted against the sale of rimonabant because of its side effects. If Acomplia does get approved by the FDA, it will most likely be sold in the United States under the name Zimulti. This FDA approval, if it does in fact occur, will probably not be until 2010 at the very earliest. Some argue that it will never receive FDA approval. 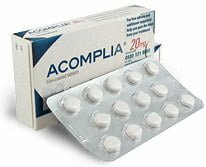 Does Acomplia Help With Weight Loss? The active ingredient in Acomplia is rimonabant. Rimonabant blocks the brain receptors which control appetite and cravings. In addition, rimonabant may also help increase HDL (good fats) and decrease bad fats in the blood system. Each tablet of Acomplia contains 20 mg of rimonabant. Acomplia blocks cannabinoid (CB) receptors found in the brain and in organs which are important in glucose and fat metabolism. These receptors control food consumption and cravings; Acomplia blocks the receptors to eliminate hunger pangs. Acomplia regulates body weight and helps to increase energy. The list of side effects of Acomplia is very long. It includes vomiting, nausea, hypertension, hallucinations, insomnia, fatigue, dizziness, and depression. The FDA has been especially concerned about severe depression which can be caused by Acomplia. A recent trial called STRADIVARIUS studied whether Acomplia would aid in slowing the progression of coronary artery disease in patients; it showed little effect. More than 40 percent of the patients who took rimonabant in the STRADIVARIUS trial developed psychiatric problems and one committed suicide. Research has proven that Acomplia does aid in weight loss. As with other effective weight loss medications, it is most effective when combined with exercise and proper diet. 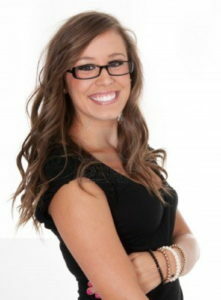 Studies indicate that many patients regained the weight once they stopped taking Acomplia. Those who stayed on Acomplia were able to keep the weight off. Sanofi-Aventis is the company which produces Acomplia. It is a reputable pharmaceutical company which makes well-known medications including Actonel, Allegra, and Ambien. Sanofi-Aventis continues to conduct research on Acomplia to determine what all the side effects are and how to improve their product. Patients can be sure that unlike many other companies, Sanofi-Aventis will back up their product and will not be disappearing. However, some people claim Sanofi-Aventis is holding negative research results in an effort to keep Acomplia away from bad publicity and to keep the FDA from once again denying Acomplias approval in the United States. 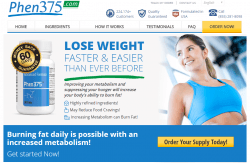 Acomplia is a weight loss medication with proven weight loss results. However, the lack of FDA approval due to the psychiatric side effects of Acomplia is extremely concerning. 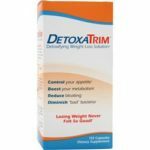 That, combined with the long list of other side effects make this a controversial weight loss medication. Anyone considering taking Acomplia should consult with a health professional and learn more about the specific research findings. Perhaps the weight loss is not worth the risk of depression and suicidal thoughts. Perhaps there are other alternatives to aid in weight loss. We’ve found a few we like.